The holiday season is a little more than a month away, and we’re excited! 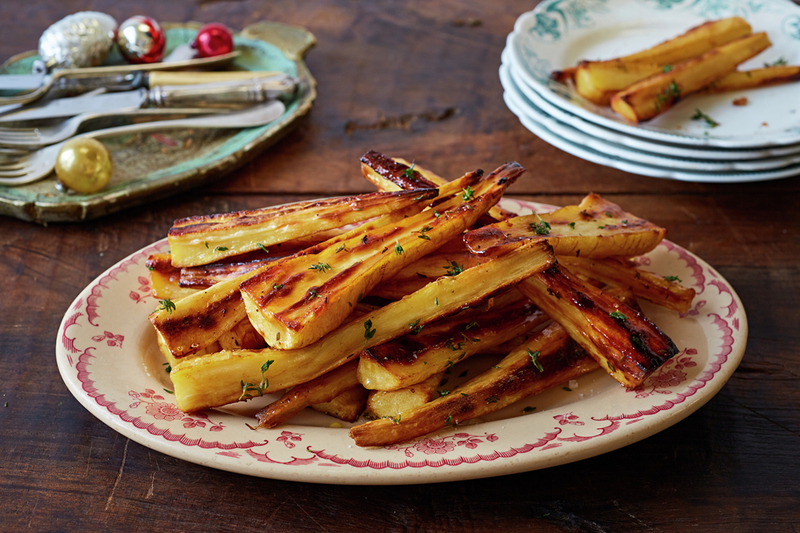 Here’s the first of our Christmas recipe curation: Jamie Oliver’s Roast Parsnips. We’re a big fan of Jamie. We love his (often) easy to make recipes, his energy, and of course his ongoing efforts to help everyone–especially our kids–eat healthier. Combining runny honey with parsnips for a beautiful golden roast, this recipe will be a real treat as a side dish at your Christmas spread. It’d be a great accompaniment to your roasts, whether meat or veggie, great with buttery greens and other stuffings. And they look mouthwatering too. Go on. Give them a shot during your Sunday roast. No need for Christmas. Call it experimentation. Or practice. Before roasting, toss the blanched parsnips in some flour and finely grated Parmesan for some extra oomph to this recipe. Or give it a more Christmassy twist: toss with rosemary, orange zest, and maple syrup before roasting. Looking for it to have a bit more punch? Try adding paprika, cayenne pepper, or powdered chilli. 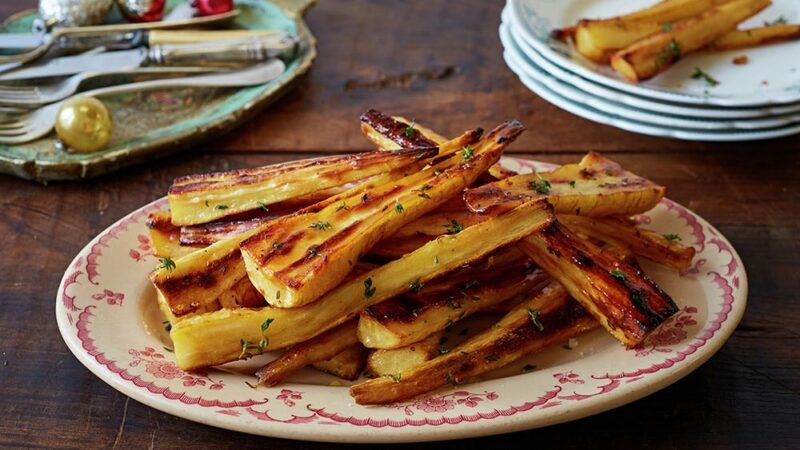 Have any family zingers that you add to your roast parsnips? Feel free to drop us a line! We’ll love to hear about it. Happy eating! Scrub the parsnips clean, then slice in half lengthways. Parboil the parsnips in boiling salted water for 10 minutes, then drain well. Pick the thyme leaves. Toss the parsnips with the honey, thyme, a pinch of sea salt and black pepper, 10g of the butter and 2 tablespoons of oil.